Summoning spirits is also known as an evocation. Evocation has been used to attempt contact with spirits or demons to gather information or command these otherworldly entities to do something on the summoner's behalf. There are many ways you can summon a spirit. Depending on your individual gifts and talents, you may prefer to use a specific approach or incorporate different summoning methods for different purposes of contacting a spirit. When a medium channels a spirit, the entity uses the medium as a conduit. There are two ways a medium channels a spirit. The first is the safest if you don't wish to give over complete control; the medium repeats what the spirit says. The second method requires the medium to give up their body to the spirit. This was demonstrated in the movie Ghost when Whoopi Goldberg's character channeled various spirits. The phenomenon of this type of body sharing is the spirit will often speak in its own accent or even a foreign language. You can use a white candle spell or create your own spell to summon a spirit guide. A white candle is believed to have the power to transform negative spiritual energy into positive spiritual energy. It is often used in spells to exorcize a ghost/spirit. You can also burn sage to cleanse the space before you start to ensure only auspicious beings answer your summons spell. The art of automatic writing is a form of medium channeling. Instead of using the medium's vocal cords, the spirit communicates through the written word. The medium usually goes into a trance and is unaware of what is being written until the spirit is finished, at which time the medium emerges from the trance. 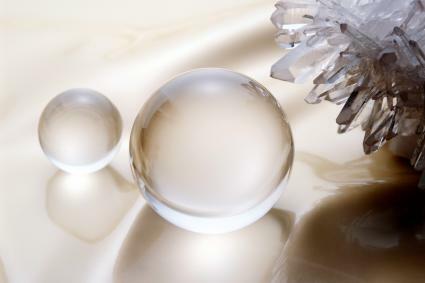 The use of a crystal ball isn't a cliche but a valuable tool for mediums. The crystal ball allows the medium to focus their attention on the crystal ball enabling them to see the images/projections that the spirit world sends. The orb shape and the composite of the crystal material amplify the spirit energy and enables the veil to be lifted enough so a talented psychic medium can see the pictures and images the spirit projects inside the crystal ball. A natural clear quartz crystal has prism channels that create a glass-like effect. A medium can focus on the inner crystal the same way they might practice crystal ball gazing. A crystal ball made of quartz is a very effective tool. Quartz crystal is an excellent choice for communicating with spirits since it emits an electrical pulse of 32,768 Hz per second. In metaphysics, it is believed that the quartz crystal can raise and even amplify the energies of spirits, affording a better connection for communication. Mediums often wear and use quartz crystals for this reason. There are several ways that a medium can connect with their spirit guide. One is for the medium to go into a hypnotic or trancelike state of being. Advanced mediums are able to communicate with their guides without needing to arrest their conscious mind. They are capable of having a conversation with their spirit guide, much the same way they communicate with living beings. Some advanced mediums are quite capable of direct communication with spirits with their conscious minds. The medium is often gifted with various psychic gifts, such as clairaudience, precognition, clairvoyance, psychometry, claircognizance, and more. A medium who can hear what others can't is said to have the ability known as clairaudience. This often includes the other five clair senses that allow the medium to have multiple ways of communicating with spirits. Dr. Raymond Moody is world renowned as the man who coined the phrase, Near Death Experience (NDE). During his long career as a researcher in the spirit world, Dr. Moody created the Psychomanteum based on the scrying tool used by the Greeks, the Necromanteion. This device is used to contact the spirit world. Most people use it to contact a deceased loved one, but the results aren't always with the person they sought, but someone they have unfinished business. A large mirror is set up in a dark room, so it doesn't reflect the person sitting in a chair. The chair is placed so the individual can gaze into the mirror without their reflection being projected. The spirit is usually visible in the mirror and can talk with the person. One of the most controversial forms of communicating with spirits is the seance. In the Victorian era, many charlatans created elaborate hoaxes to con the bereaved of money. Seances require a closed circle and if conducted by a legitimate medium can result in summoning the spirit world. 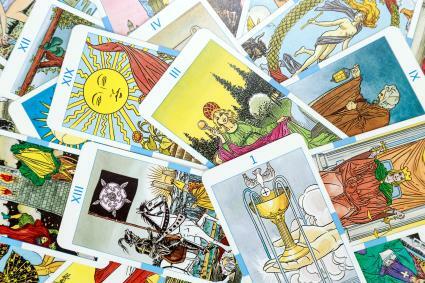 You can use a deck of tarot or oracle cards to communicate with spirits. If you have a specific spirit you wish to communicate with, then you can take a moment prior to doing a card spread. Light a candle, burn incense and clear your mind the same practice you do for any divination card reading. Your first time using cards to communicate with a spirit should be a simple three card spread. As you establish your connection and trust with the spirit(s), you can advance to other card spreads for more detailed and in-depth communication. Some paranormal researchers in North America and Europe have claimed they have made contact with spirits and been able to communicate with them using EVP (Electronic Voice Phenomena). Spirit voices may be present in a house or other building that are only able to be heard at a frequency that the living occupants are unable to detect. To find out whether this is the case, run a tape recorder at a time when you know the building is unoccupied. You may be very surprised by what you hear. A word of caution though since not all the sounds you may pick up will be pleasant. In some cases, the owners have heard disturbing sounds or threats being made against them. If you think this would make you feel uncomfortable, you may be better off not exploring this possibility in the absence of other evidence of paranormal activity in the area. People have been summoning spirits with Ouija boards for quite some time. However, this practice can open the door to a dimension that might be better left closed. There are specific rules that you should follow when undertaking a Ouija board summoning, such as questions you should never ask. Once you've established a safe place for your session you want to form your question(s). Some people use the Ouija board by themselves, but it's best to use it with others. You may want to say a prayer asking for divine protection for everyone in the home. You can evoke the white light by placing each person in a bubble of white light, the room in white and the entire building. Make sure the bubble encase underneath the house as well as on top. You can burn sage while the Ouija board or the session is in process. A sage scented candle could also be used for this purpose. Sage is used to cleanse a location of any evil spirits, so using it during these times makes sense. Burning a white candle is a good way to transform spiritual energies to generate good positive energy in the room. If you have strong religious beliefs, then wear a symbol or talisman of your faith to reassure yourself and provide protection. You can focus on this token should you become frightened and prevent being overpowered by evil entities. Never use black magic spell or chants when summoning spirits unless you are a black arts practitioner. You can use an ancient practice to protect yourself and ward off evil spirits by sitting inside a circle of salt. There are dangers in using a Ouija board. These summoning tools are still being sold in the game board section of stores, but they are most definitely not parlor games. While you may have fun playing with the Ouija board and have nothing scary happen, you may have a much different type of experience. People who play Ouija boards or who make their own are inviting spirits to enter their homes. Once you have opened that door, there is no guarantee that the spirit you have summoned will leave simply because you have decided it is no longer welcome. Getting rid of a presence in your home can be very difficult, and you will most likely need to seek the help of a medium, psychic or religious leader to help. Before you are able to gather enough evidence of paranormal activity in your home to warrant intervention by an expert, you will possibly have to live through a number of episodes that may range from being merely inconvenient to downright dangerous. Remember, summoning spirits is not something that should ever be done lightly. You can never be sure which kind of being you may contact, and you could open up your home and yourself to some very negative influences. If you proceed, do so with extreme caution. Make sure that you close the session by bidding the spirit goodbye, cleansing the room and saying a closing prayer of protection.